he Association for the Study of Persianate Societies (ASPS) is a non-governmental, non-political, not-for-profit professional organisation for researchers and scholars interested in the culture and civilization of the Persian-speaking societies and related areas in the Iranian civilizational area. The Association supports the efforts of scholars around the world. It has brought some thirty visitors from Iran and Central Asia to take part in academic and cultural conferences and conventions since it began its Travel Fellowship Program in 1998. The Central Eurasia Research Fellowship provides funds for scholars from Central Asia. The Association also posts announcements of job openings and upcoming conferences relevant for its members. The Association’s biennial conferences have been held in Bosnia-Herzegovina, India, Pakistan, Georgia and Armenia since its inauguration in Tajikistan in 2002; the latest shall be held in Istanbul in 2015. Eight regional branches give the ASPS an international presence. 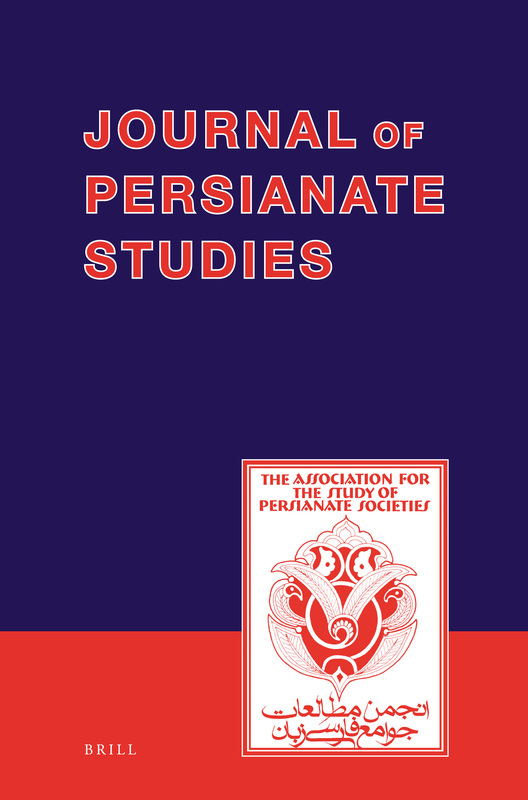 Together with Brill, it publishes the Journal of Persianate Studies, which features peer-reviewed articles on the culture and civilization of the geographical area where Persian has historically been the dominant language or a major cultural force, encompassing Iran, Afghanistan and Tajikistan, as well as the Caucasus, Central Asia, the Indian Subcontinent, and parts of the former Ottoman Empire. Its focus on the linguistic, cultural and historical role and influence of Persian culture and Iranian civilization in this area is based on a recognition that knowledge flows from pre-existing facts but is also constructed and thus helps shape the present reality of the Persianate world. Such knowledge can mitigate the leveling effects of globalization as well as counteract the distortions of the area’s common historical memory and civilizational continuity by the divisive forces of modern nationalism and imperialism. The Extinct Dialect of Tajrish: Caspian or Persian? Iranian Language Reform in the Twentieth Century:Did the First Farhangestān (1935-40) Succeed?